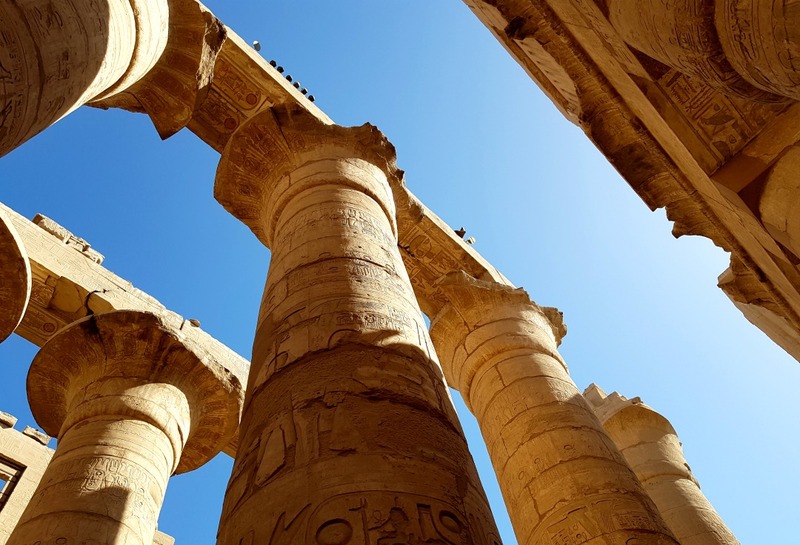 Even after arriving in Egypt, we were still undecided as to whether we would venture into Luxor. Although, I’m certain that deep down we both new we’d end up going. We’ll try (just about) anything once! It sounded like a very long day, and an expensive one too. We wrote off a tour through the hotel, because they were overpriced and too structured for our family of five. We had a couple of chats to a taxi driver at the hotel and decided to book our transport through him, and he offered to arrange a tour guide for us. 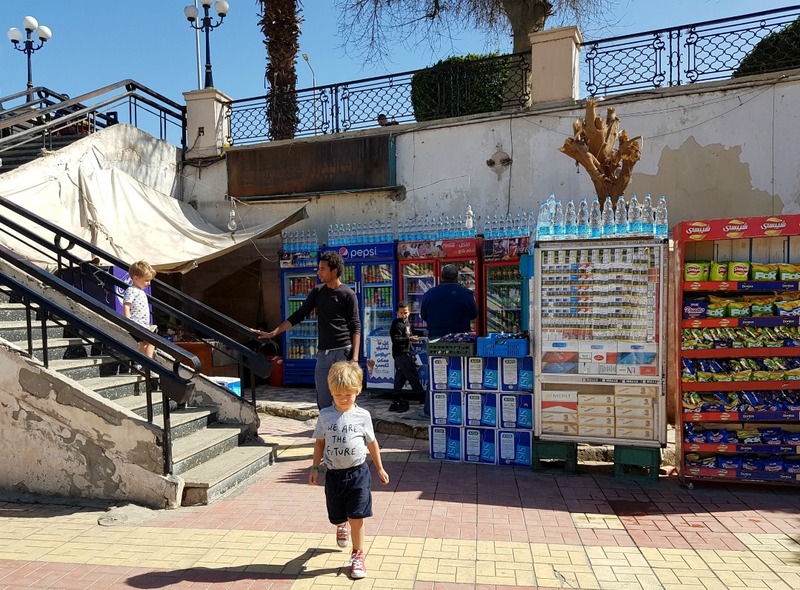 Our reasons for wanting to avoid a coach trip were many – we would be the least disruption to other holiday makers, we could be far more flexible in a taxi (our boy seem to need a number two at the most inconvenient times! 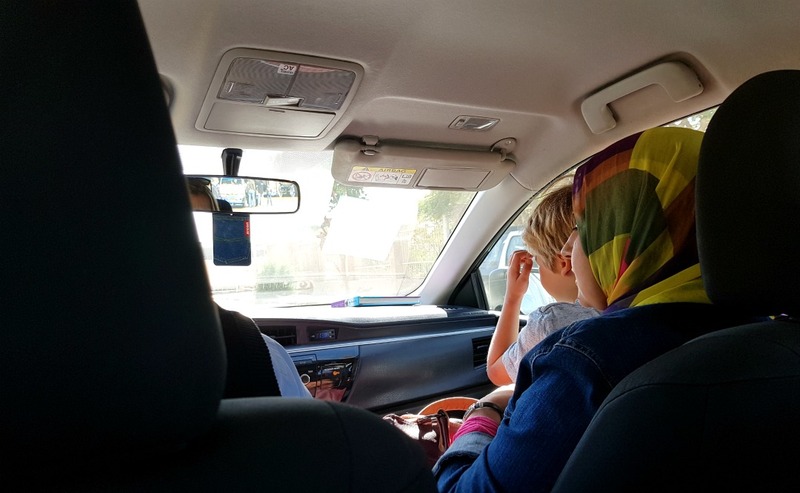 ), we could move between sights at our own pace and avoid feeling rushed, we would pass through road check points far more quickly in a taxi, we would be able to hear the tour guide speaking and ask lots of questions, it was significantly cheaper, plus the taxi would have a car seat for Otto. It quickly became a no-brainer. 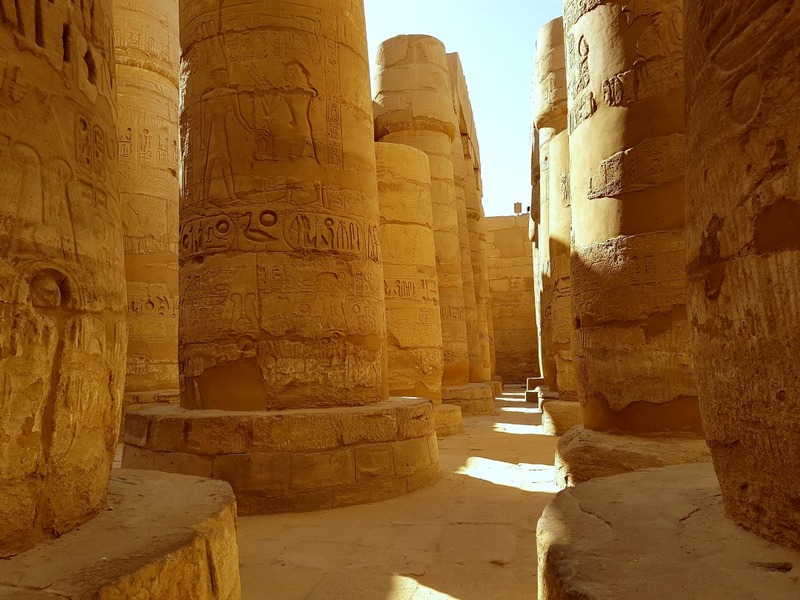 Our day to Luxor began at an unsavoury 5am. 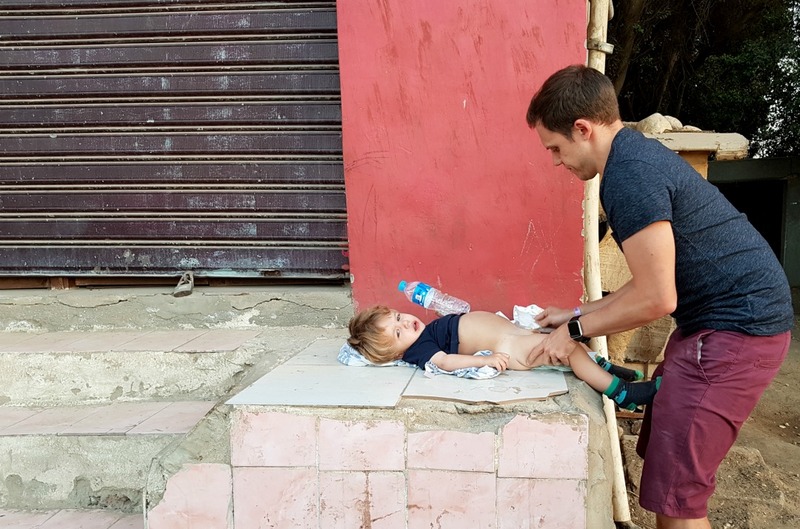 We met our taxi driver at the front of the hotel, and in our haste forgot to pack a change of clothes for Otto, which turned out to be much needed only two hours later at 7am when he pooed. He was wearing a lovely pair of dungarees! 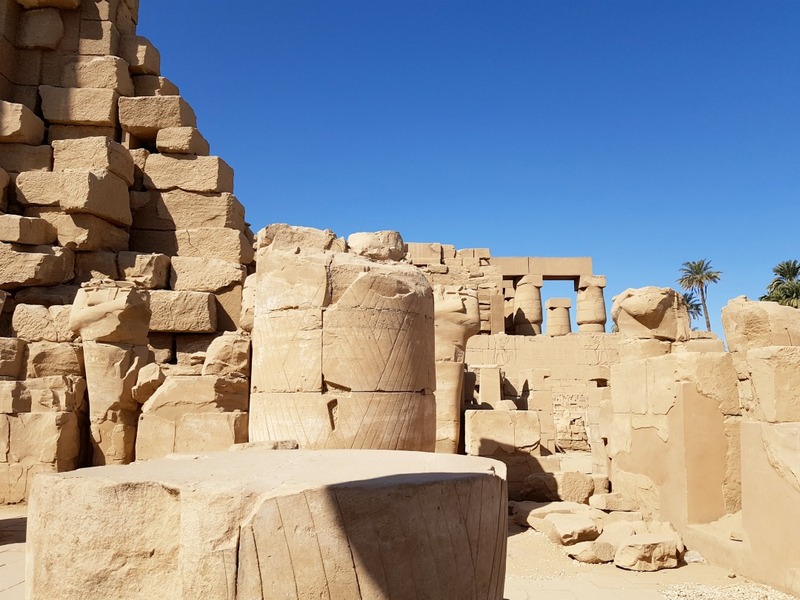 The drive to Luxor was over 4 hours, with two stop offs – one toilet stop and one fuel stop. 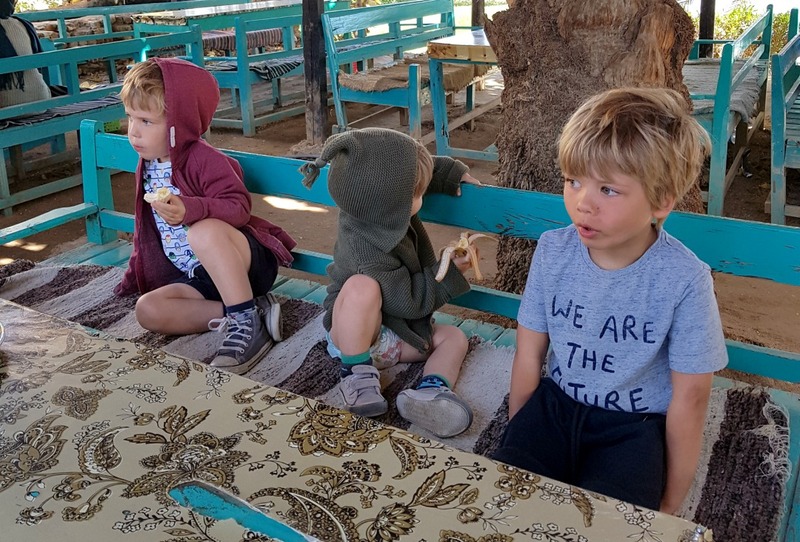 The boys were so brilliant in the car – sleeping, eating snacks and looking out of the window, which wasn’t that comfortable as 6 people were crammed into 5 seats. 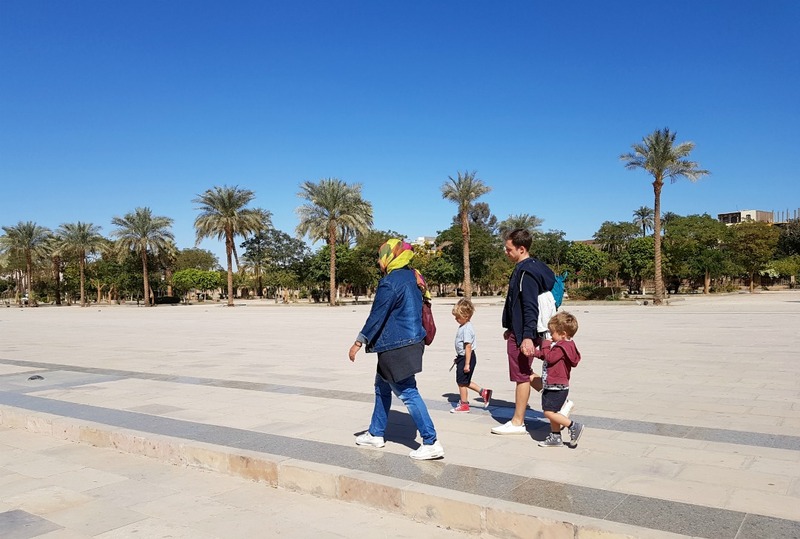 Our guide met us at the Temple of Karnak – she was a wonderful Egyptian woman (also with young children), originally from Aswan. 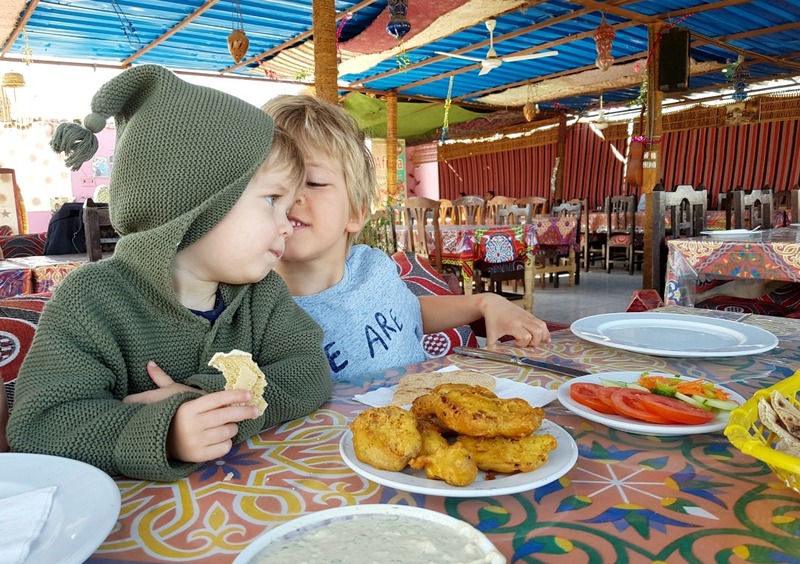 We both felt that our guide couldn’t have been a better match for our family – her English was perfect and she was just fantastic with the boys. 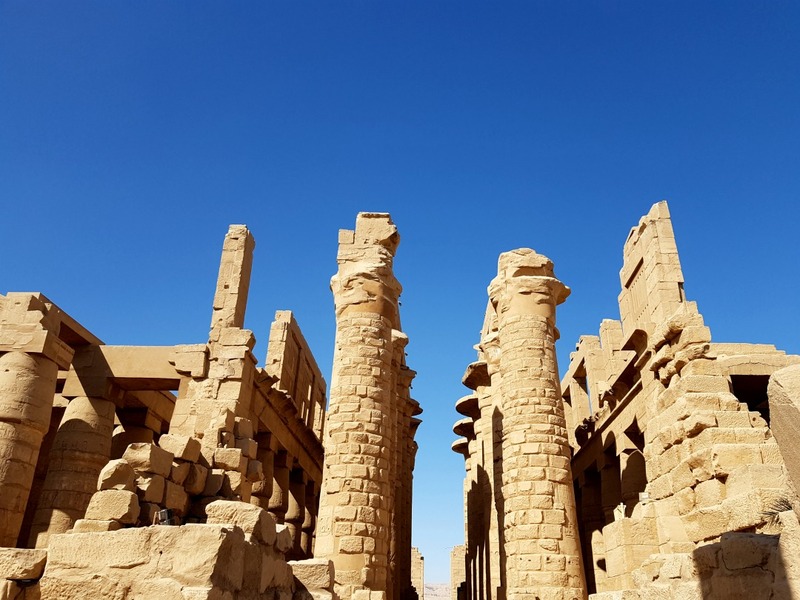 We started at the Temple of Karnak which included the Avenue of the Sphinxes and the Obelisk of Thutmoses I. I always start to feel nervous when I’m about to visit a really incredible place – I worry that it won’t be as wonderful as I’ve imagined, or that I’ll be disappointed, but I had nothing it worry about. Everything totally blew me away. 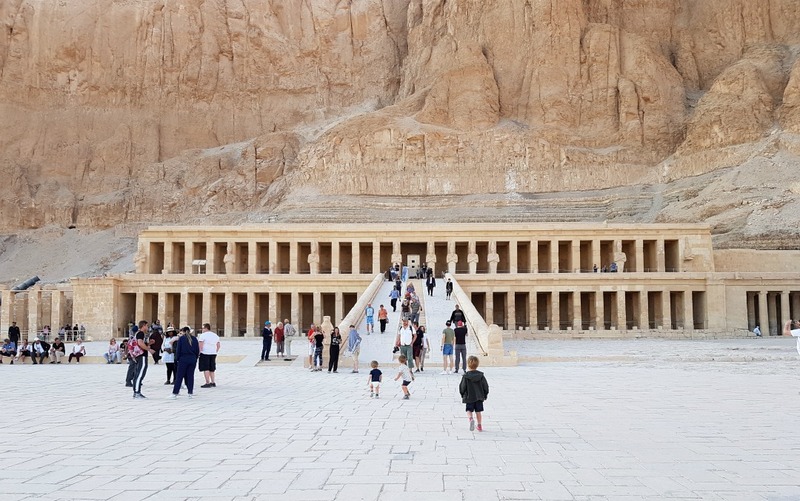 After learning about the Ancient Egyptians so long as school, it was an amazing feeling to see its magnificence right in front of me. Quite overwhelming. 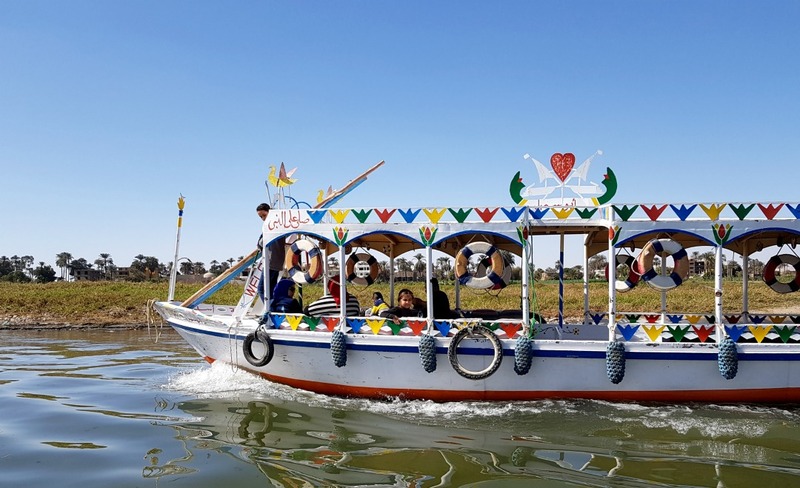 Our guide asked us if we wanted to see how papyrus is made, and go on a boat ride, and we said yes to both. 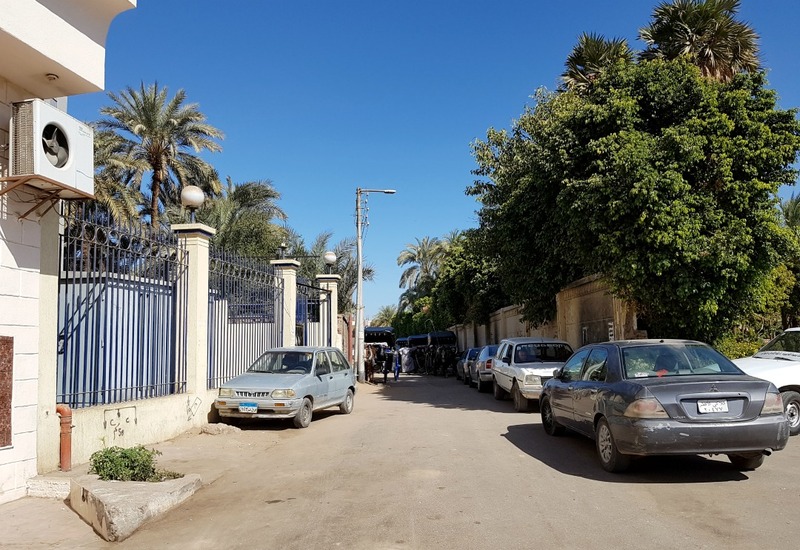 Sadly, the River Nile is not a particularly pretty, or beautiful river. 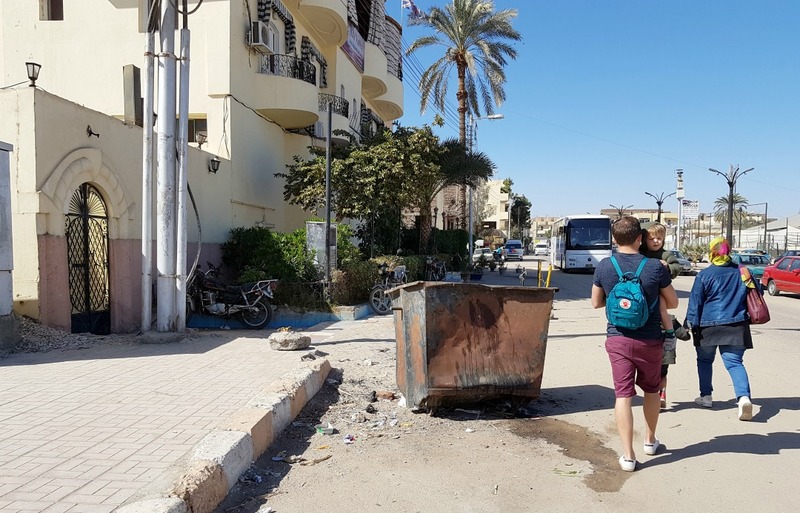 Raw sewage and rubbish from hotels and boats goes straight into it, which is such a shame. 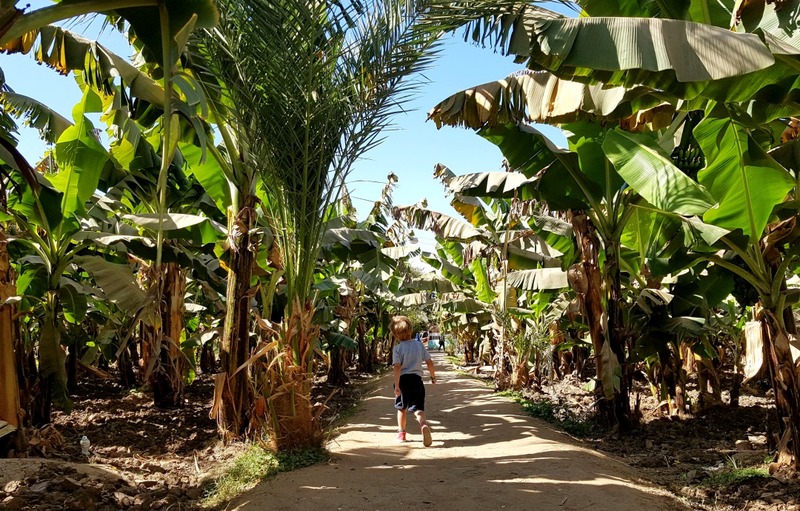 Our boat ride took us to ‘Banana Island’, a small island full of banana trees where we saw some animals and ate bananas (of course). 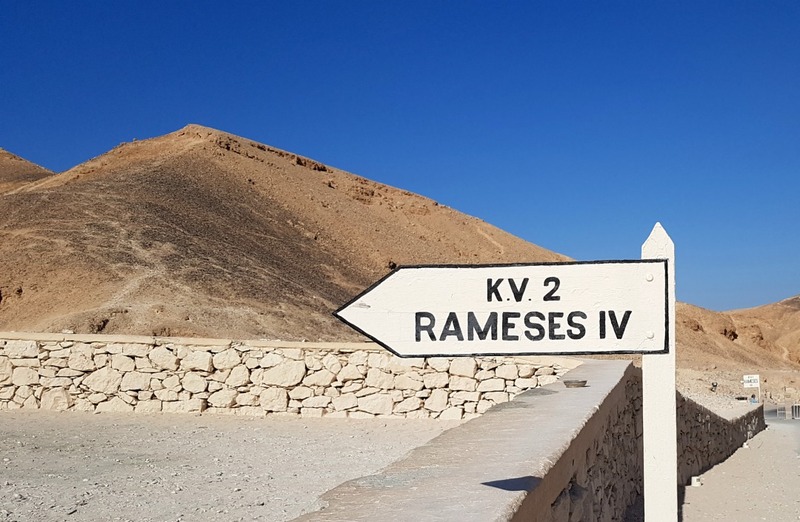 After lunch we headed to the Valley of the Kings, the Temple of Hatshepsut and the Colossi of Memnon. 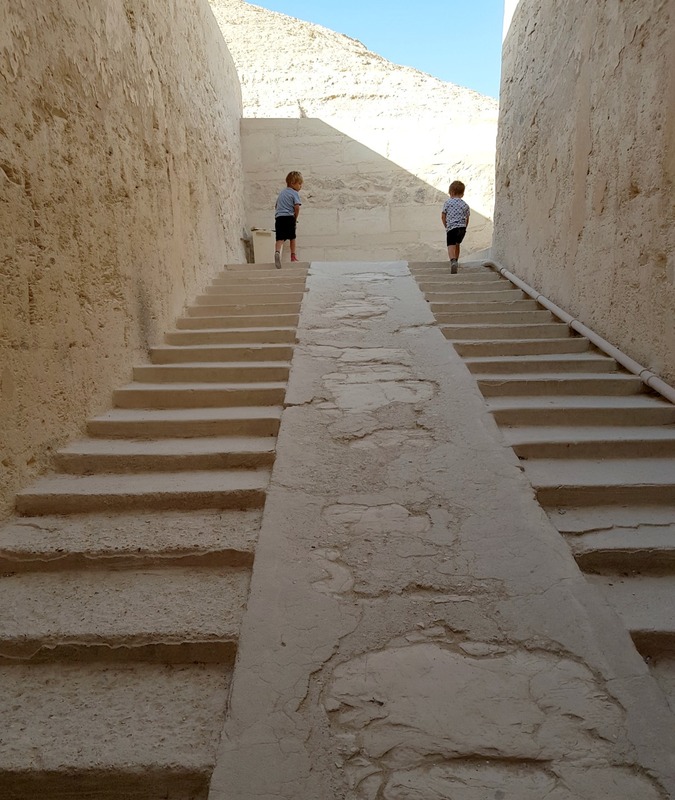 Our guide told us which tombs were the best, and then bought us tickets to go inside them. 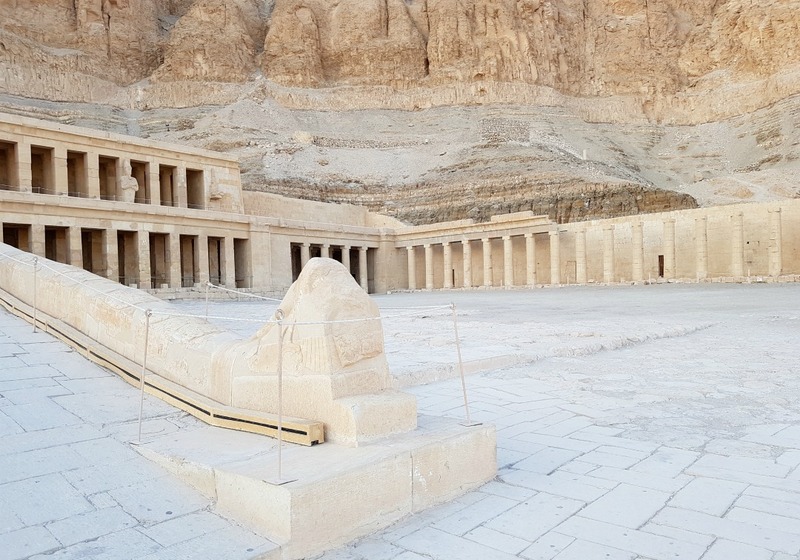 We also squeezed in a short visit to see how alabaster is carved by hand, and drove past the Valley of the Queens. 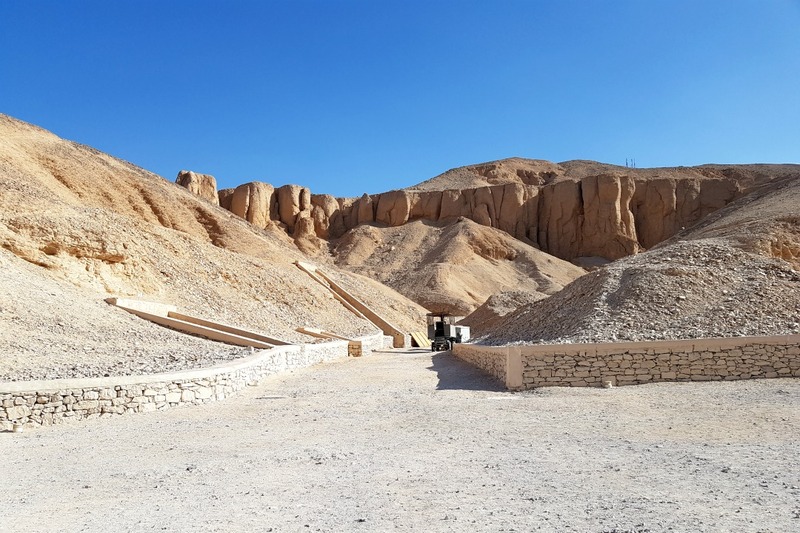 There are still extensive excavation works going on all over Egypt to uncover more secrets from the past – Poland and Japan are heavily involved, which we were surprised about. 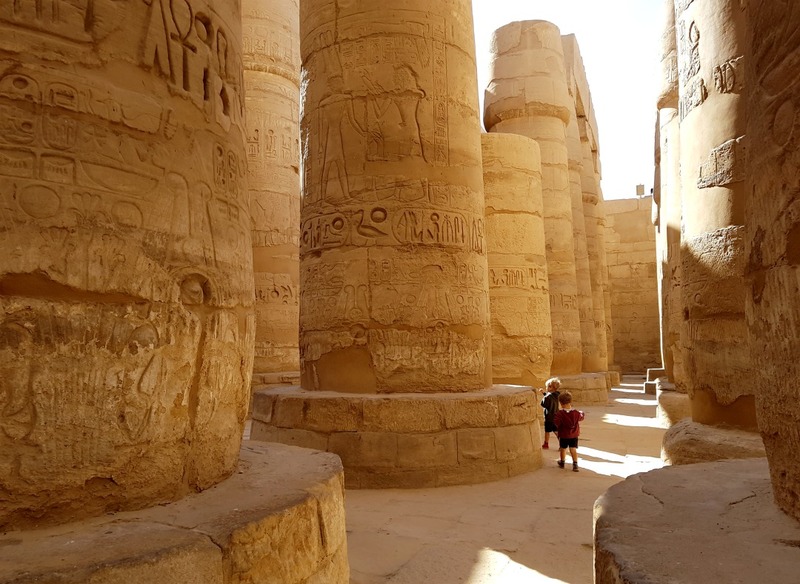 We left Luxor just after 5pm, and got back to our hotel around 9pm, after a tiring, but marvellous day. 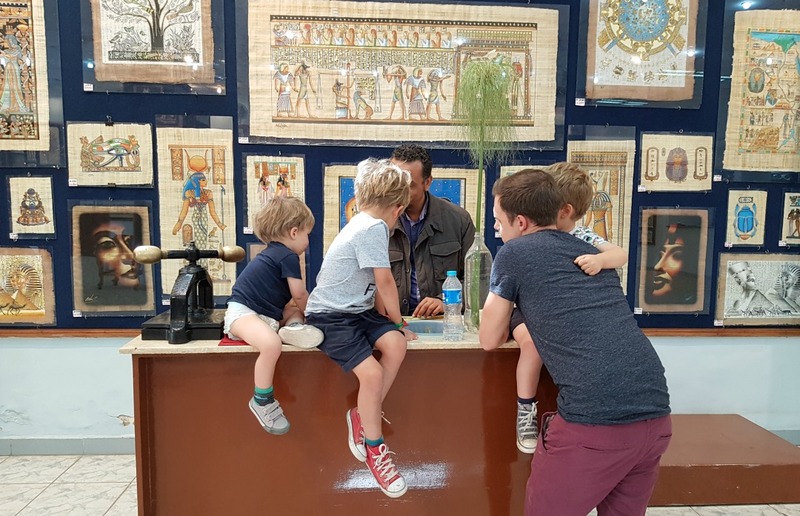 Egyptians love children, and we were asked over and over again if people could have photographs with our boys. This is something we hadn’t expected, but have experienced before in China. Jared and I are relaxed about this, and are happy for people to take photographs, as long as they ask first and the boys are happy to be photographed. 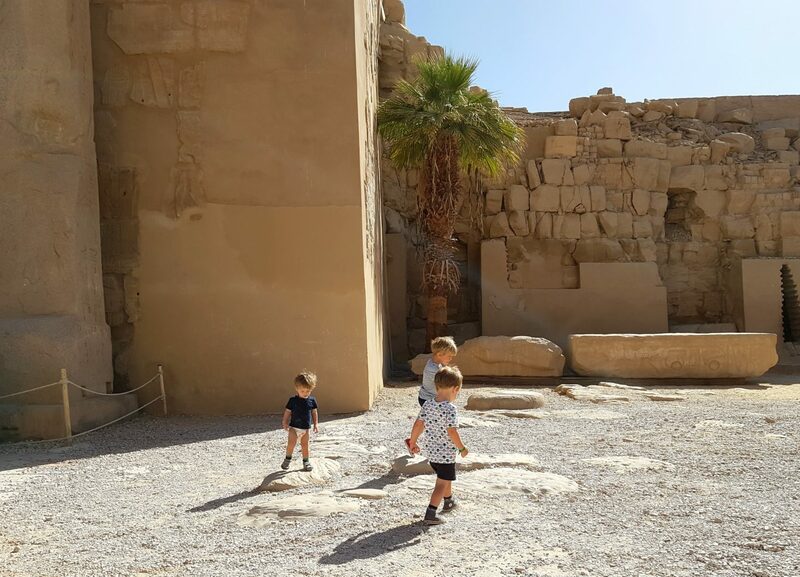 Our guide said that many Egyptians visiting the sights of Luxor will be from villages, and won’t have seen blond haired children before in the flesh. They were all very friendly and sweet. In China we would just find people trying to pick them up, which was far more worrying. 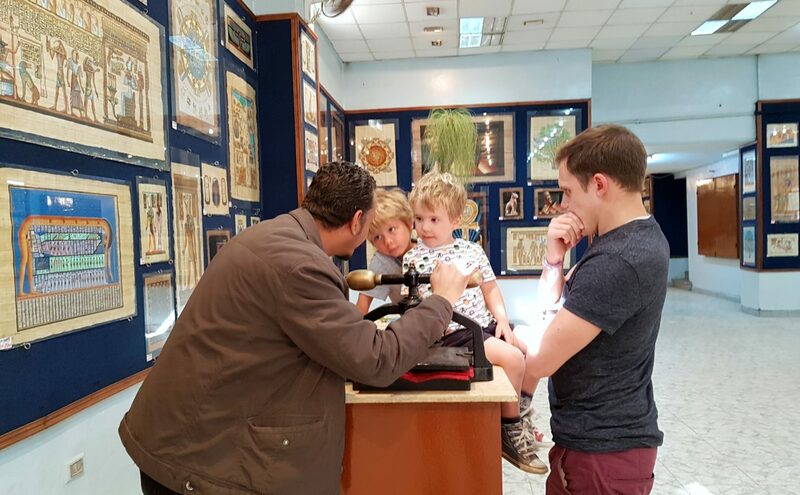 Egyptians will try and get extra money out of you at any opportunity and it can be quite frustrating. People trying to give you ‘gifts’ and then hounding you for money. It was good to have our guide with us – she helped us agree a reasonable price, and would tell people to leave us alone. Our day trip couldn’t really have been any better (other than Otto having clothes to wear). The thing we were most worried about was the long drive, but the three of them were tired and thankfully they all decided to sleep. All three of them had to do lots of walking and stair climbing, and they just got on with it. Between Jared and I, we awarded Win and Ru a 10/10, and Otto a 9/10! 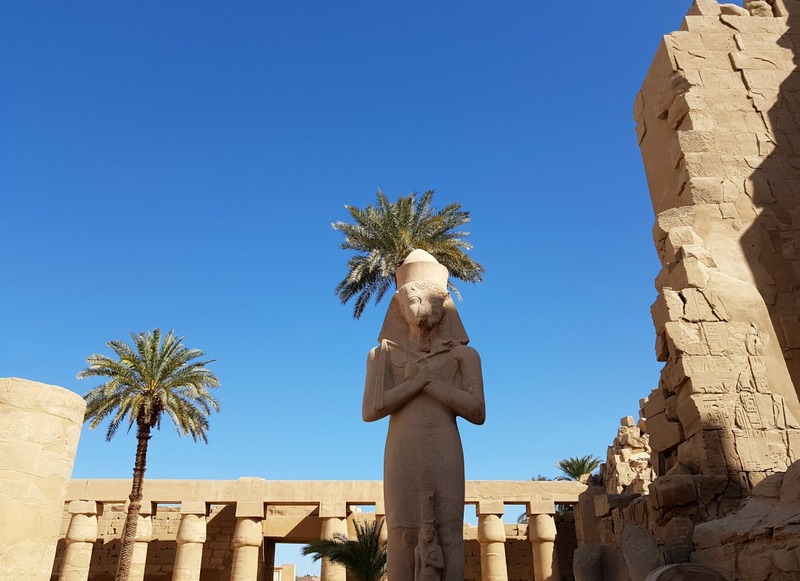 It would have been so easy to stay an additional day in Luxor, as there were many more museums, tombs and temples to see, but we had to head back. 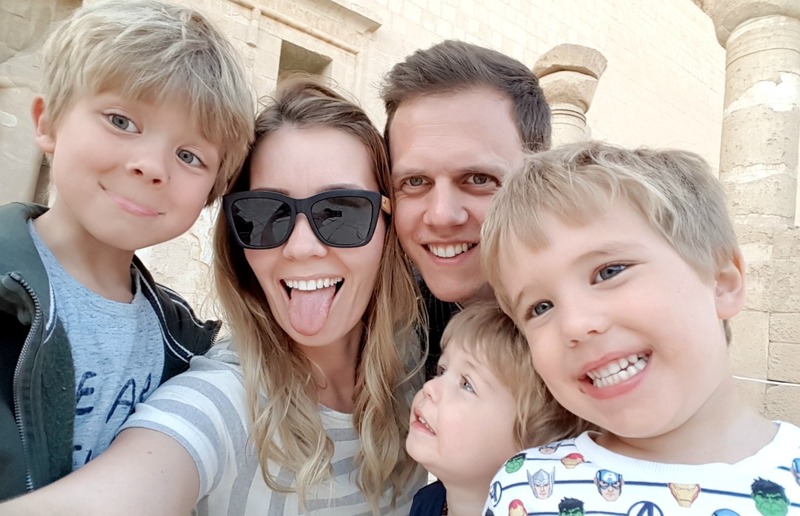 We are not sure if we’ll make it abroad again this year – new baby, our house and finances are all big factors, but that doesn’t stop me having a little (or big) browse! My current wanderlust includes – Lake Bled in Slovenia, anywhere in the Caribbean, Machu Picchu in Peru and this organic farm in Italy. Next Post What rules do you have in your home? Wow Esther. I genuinely love reading about your travels with the boys. 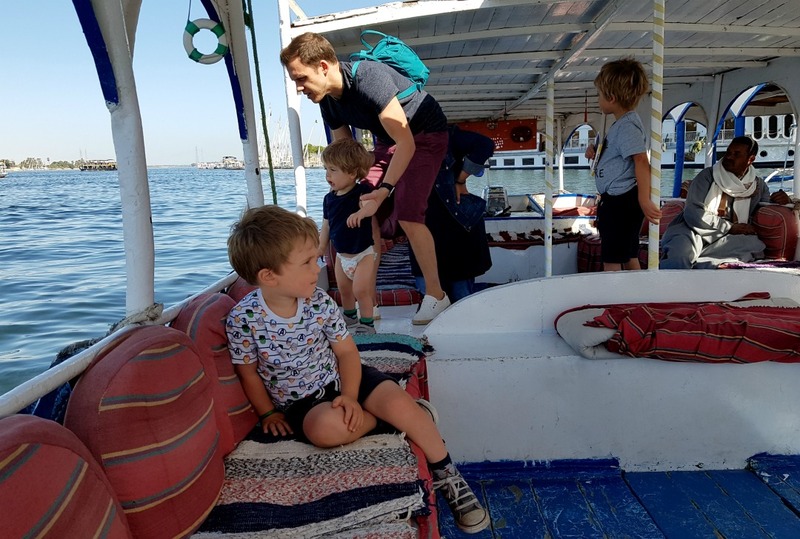 Travelling with young children is such a daunting prospect for many families and you and Jared and the boys are a real inspiration. 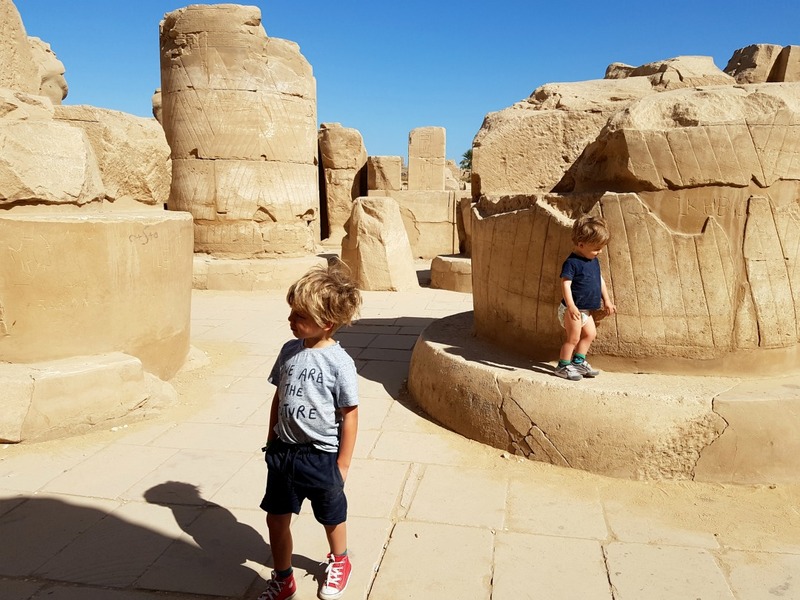 Luxor looks incredible and well done for finding the perfect way to do it as a family rather than being railroaded into a coach trip that wouldn’t have been a good fit.